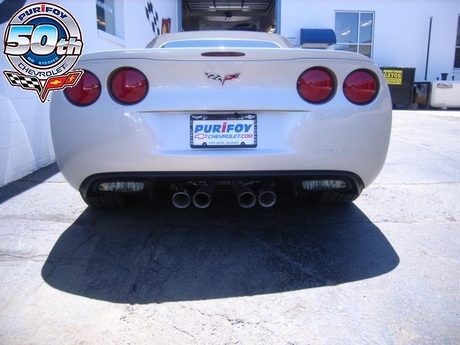 Purifoy Chevrolet just received this Corvette back from the client we sold it to and it only has 6,708 total miles! This is a great chance to buy a near new car at a very attractive price! 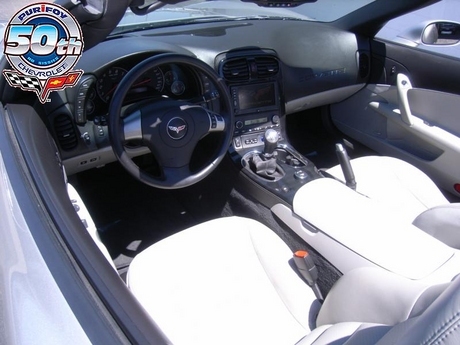 This Corvette has the 3LT trim package and has all the power & convenience functions you expect in a premium auto. Options include the 6 speed automatic, cruise control, head-up display,dual power heated leather seats,power convertible top,CD radio,XM radio,ONSTAR,dual zone air conditioning, and much more! Speak with our knowledgeable sales team and ask for a test drive today! The Silver Corvette Sale ends January 31, so hurry in! Get details at Purifoy Chevrolet. Want to know more about the 2014 Chevrolet Corvette? Contact Purifoy Chevrolet to learn more about the vehicle and its release date. Tune in tomorrow (Saturday) to 950 AM at 1pm to listen to Rollie Purifoy talk about his experience at the huge Chevrolet Corvette Stingray C7 unveiling in Detroit last week! The all new 7th generation Corvette is an incredible masterpiece of power, efficiency, and economy. Imagine having a 450HP sports car that can be driven comfortably every day and gets 30MPG! The new 2014 C7 Corvette does this and more. Saturday, Jan 19th, 1pm, Cruisin 950 AM. Visit ColoradoCarShow.com for more details! The all-new Corvette is not available yet, but contact Purifoy Chevrolet to learn more about its release. The Corvette was originally championed by GM’s legendary styling director Harley Earl, who insisted there was room for an American entry in the European-dominated sports car market. It was also his idea for Corvette to have a fiberglass body. Corvette was named for a small and fast class of naval ships. The 1953 Corvette had a base price of $3,498 and offered only two options – a heater for $91 and an AM radio for $145. Every Corvette model has used innovative materials, from fiberglass in 1953 to advanced carbon-nano technology and carbon fiber on the 2014 Corvette Stingray. A V-8 engine was first available in 1955. That year, it was selected by 90 percent of customers. After that, all Corvettes featured strictly V-8 power. The Stingray name was first used for a prototype race car, the design of which influenced the second-generation Corvette that debuted in 1963. The 1963 Corvette Sting Ray split-window coupe has since been called one of the most beautiful and influential designs in automotive history. Corvette’s legacy of mainstreaming technology previously reserved for high-end luxury cars includes the introduction of fuel injection in 1957, independent rear suspension in 1963, four-wheel disc brakes in 1965, antilock brakes in 1986 and a tire-pressure monitoring system in 1989. Corvette is the longest-running, continually produced sports car in the world. Nearly 2 million Chevrolet Corvettes have been sold since it went on sale in 1953 and in 2012, it accounted for approximately one-third of all sports car sales in America. Stop by Purifoy Chevrolet to learn more about the Chevrolet Corvette and see our extensive inventory of new and pre-owned Corvettes. 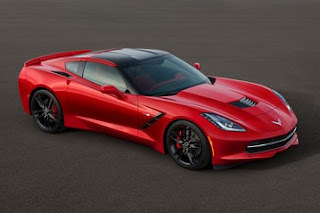 Today Chevrolet unveiled the exciting newly-redesigned C7 Corvette. Visit our website for all of the details on this amazing vehicle! Contact Purifoy Chevrolet for more information. People are always asking for pre-owned Corvette Grand Sports...but as the model that everybody wants and only three years of production under its belt, a pre-owned Grand Sport is a difficult find! This is the exception and you better act fast because when they come around, they don't last long; especially in this condition! There are only 6,700 miles on this 2011 GS and it is beautifully optioned. This 2011 was originally a $69,000 Corvette! 2011 was the last year for Jetstream Blue and it is one of the most popular colors. It looks glorious with the five spoke chrome wheels, silver calipers, ZR1 style rear spoiler, and Blade Silver heritage stripes on the front fenders. Inside this GS has the best upgrade you could give; the suede steering wheel, shifter, hand break, and center consol lid with blue stitching that was only found in the 2011 Z06 Carbon Limited Edition. It also has a huge list of options including a 6 Speed Manual transmission, heated seats, head-up display, dual zone climate control, navigation, Bose sound system, and power everything. As with all Grand Sports, this baby features the LS3 6.2L V8 that makes 436 Horsepower and sounds mean with the optional dual mode exhaust. Don't miss the rare chance to get an exceptionally desirable Grand Sport! 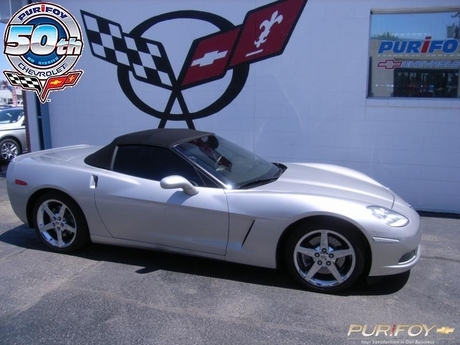 Stop by Purifoy Chevrolet to see this 2011 Corvette Grand Sport! Purifoy Chevrolet just received this stunning 2011 white Z06 with only 7950 miles! This car has full factory features including the popular 2LZ equipment package! It features a richly appointed interior including power heated leather seats with lumbar support. Additional options include dual zone A/C with head-up display and all power options including power locks, windows, mirrors,etc. The 7.0L V8 at 505 horsepower matched to a smooth shifting 6 speed manual transmission creates the ultimate in Corvette driving & handling!! Contact Purifoy Chevrolet to see & drive this awesome Z06 today!! Stay tuned for more information on the 2014 Chevrolet Corvette. Stop by the Purifoy Chevrolet Indoor Corvette Showroom to see our new 2012 / 2013 Corvette and pre-owned Corvette inventory.